"A GREAT TIME AT THE PIANO KITCHEN LAST NIGHT"
ARTICLE IN COSTA RICAN NEWSPAPER "LA REPUBLICA"
Mi amigo Tomás Nassar, a quien no veo desde que nos graduamos juntos del colegio Calasanz, escribió esta columna, publicada hoy en el periódico costarricense "La República". ¡Gracias Tomás ! My old friend Tomás Nassar, whom I haven't seen since we graduated from High School wrote this article which was published this morning in the Costa Rican newspaper "La República". Thanks Tomás! NEXT CONCERT: Saturday, November 12 at 8:00 PM, along with the Gove County String Quartet, at the Piano Kitchen, 430 Rose Ave in Santa Barbara. 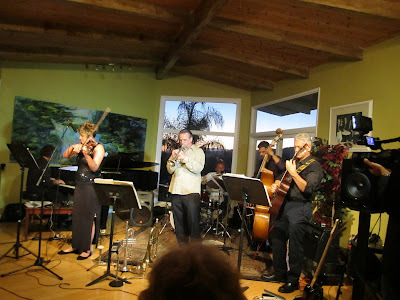 Luis Muñoz Jazz Sextet at The Yellow House Concerts, Santa Barbara, CA. on July 30, 2011. 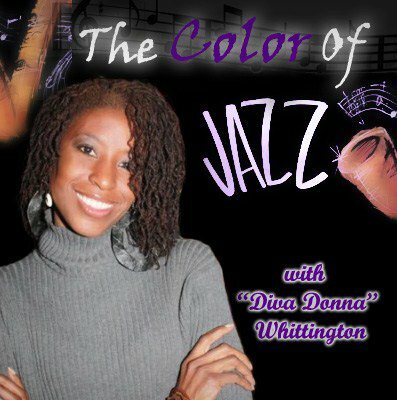 RADIO INTERVIEW ON "THE COLOR OF JAZZ" THIS SUNDAY!! 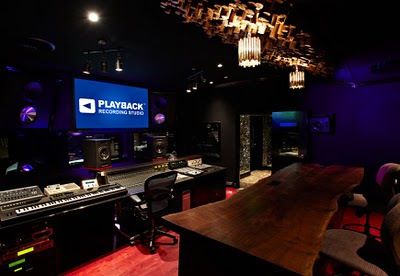 MY MUSIC STORE ON FACEBOOK!! SECOND RECORDING SESSION FOR MY NEW CD "LUZ". Today, Saturday, September 24th, from 6 to 8:00 PM, live at REDS with Dan Zimmerman on guitar and Brandon Statom on bass. Hope you can make it!!!! First recording session for my upcoming "LUZ" CD, today with NYC pianist and old friend Adam Asarnow. 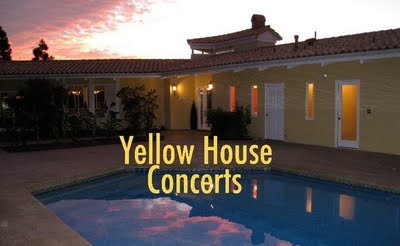 NEXT CONCERT: THE YELLOW HOUSE CONCERTS: Saturday July 30th, at 7:00 PM. Ridah Omri's (owner of the wonderful Jazz Hall) concert series, this time, in a beautiful. intimate venue in the Santa Barbara hills. (The address will be giving to you once you purchase tickets). We'll be presenting music from our award winning CD "Invisible" (Jazz Composer of the Year), plus songs from our upcoming "Luz" CD. Hope to see you. 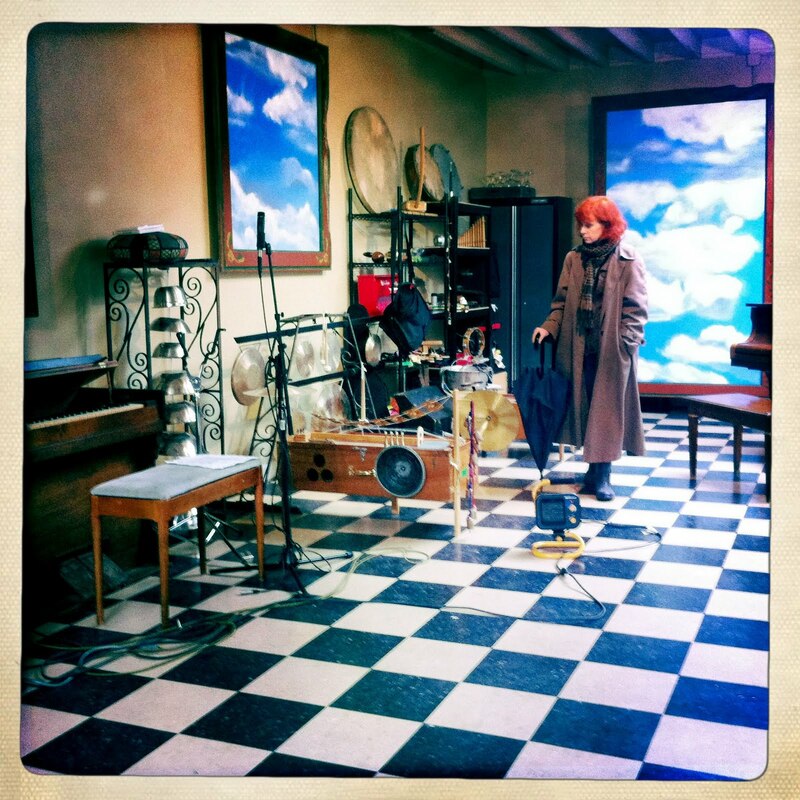 RADIO INTERVIEW ON "COOL JAZZ CONVERSATIONS"! 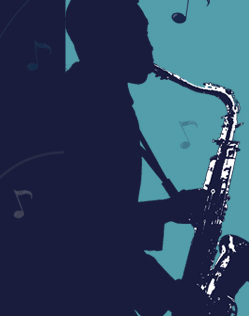 This coming Monday, June 6, at 7:00 PM Eastern time, I will be a guest on "Cool Jazz Conversations" with Trish Hennessey and Joyce Hall, on Blog Talk Radio, . 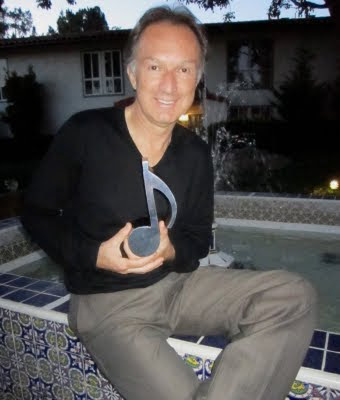 I got the award: Jazz Composer/Author of the Year 2011 in Costa Rica by ACAM (Association of Musical Authors and Composers), for my work on my 2010 "INVISIBLE" CD. Me gané el premio ACAM (Asociación de Compositores y Autores Musicales)Compositor/Autor de Jazz del Año 2011, por mi trabajo realizado en el CD "Invisible". NOMINATION FOR JAZZ COMPOSER OF THE YEAR 2011! 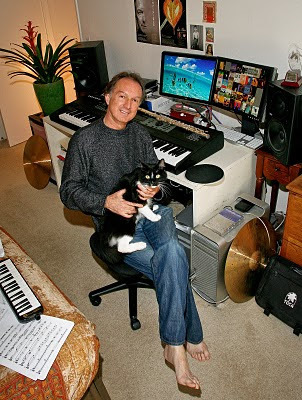 I am proud to announce my nomination for Jazz Composer/Author of the Year 2011 by ACAM (Association of Musical Authors and Composers), for my work on my 2010 "INVISIBLE" CD. 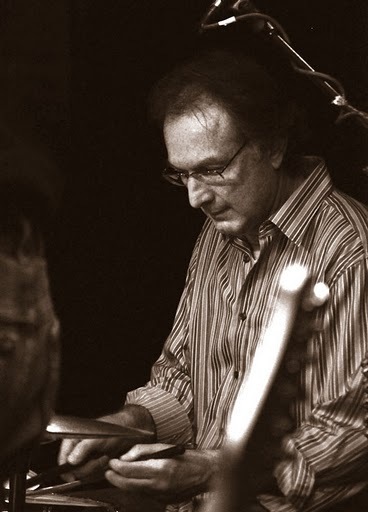 Anuncio la nominación recibida esta mañana, de parte de ACAM (Asociación de Compositores y Autores Musicales), como Compositor/Autor de Jazz del Año 2011, por mi trabajo realizado en el CD "Invisible". La ceremonia de entrega de premios se llevará a cabo en el Teatro Melico Salazar, en San Jose, CR, el 30 de Mayo. NEW "INVISIBLE" REVIEW: GERMAN PUBLICATION "JAZZDIMENSIONS"
Esta semana salió una nueva reseña de mi CD "Invisible". Esta, en la publicación alemana "JazzDimensions". ¿Les habrá gustado la música o no? 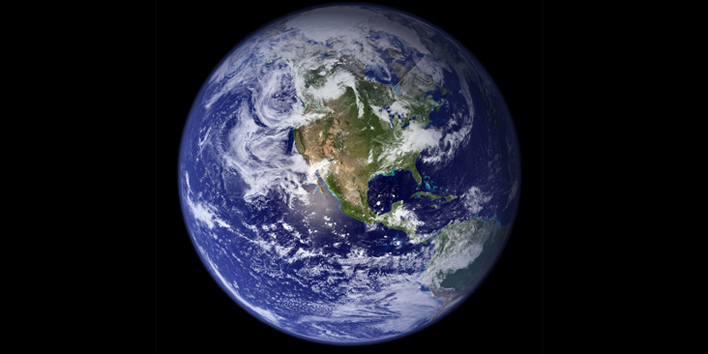 No tengo ni idea de lo que dicen :-) Ich spreche Deutsch nicht. Ayuda, alguien que hable alemán!!! 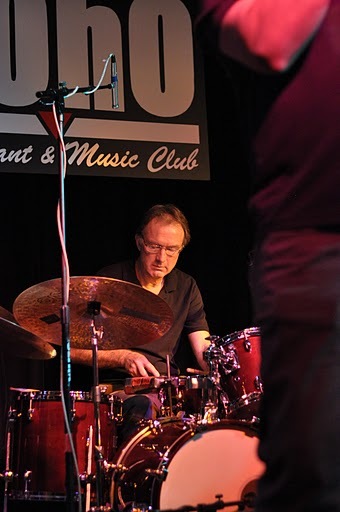 A nice gallery of photos of Luis Munoz Jazz Sextet live at Soho last night, by the wonderful photographer and dear friend Lois! Last night's dinner: Three kinds of mushrooms with shallots, garlic, lemon thyme, white wine, rosemary and parsley, over creamy polenta with lots and lots of Parmigiano-Reggiano!!! NEXT PERFORMANCE: MARCH 10 AT 7:00 PM IN SANTA BARBARA, CA. 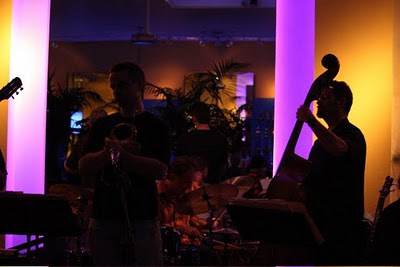 LUIS MUNOZ JAZZ SEXTET TOMORROW LIVE AT "MY FLORIST" IN VENTURA, CA! Luis Muñoz Jazz Sextet next performance: TOMORROW SATURDAY FEBRUARY 19, 2011, from 7 to 10:00 PM at "My Florist" 76 South Oak St. in Ventura, CA. Featuring Jonathan Dane on trumpet, Brad Dutz on percussion and marimba, Tom Etchart on bass, George Friedenthal on piano and Narciso Sotomayor on guitar. For more info: (805)653-0003. Concert is FREE!!! Hope to see you! You can watch a video interview done on 2/10/11 for La Nacion newspaper in San Jose, Costa Rica, just before my participation in the TEDx conference. 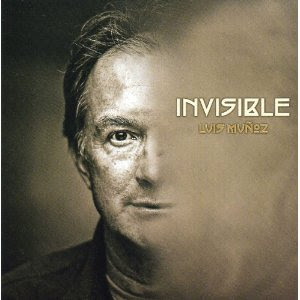 Just click on the left hand side black box, just bellow the image, where it says "Luis Pelín, Conferencista Tedex"
"INVISIBLE" in "Top 10 Jazz CDs of the Year" list! GREAT NEWS: MY "INVISIBLE" CD MADE IT INTO JAZZ.NET'S LIST OF THE TOP 10 JAZZ CDs of 2010. Thanks so much Brad!! Local, grilled halibut (with sea salt, Syrian olive oil and grilled Meyer lemons), with kale with shallots and anchovy paste, grilled cauliflower with capers, sprinkled with Parmigiano Reggiano, over brown rice…Yuuuuuuuuuuuuuuummmy!! !